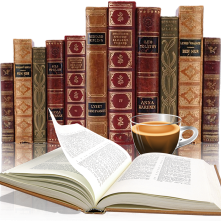 I have a great respect for authors who publish in a variety of time periods, with characters of different social standing and backgrounds, especially in the historical fiction genre. With the amount of research that needs to be done and then to write their stories in a way that brings them to life and keeps us readers entertained, is no small feat. Which is one of the reasons why C.W. Gortner is one of my favorites. I have yet to be disappointed in anything he has written. With Marlene he takes the reader away from the 1400/1500's to the 1920's with the story of Marlene Dietrich, Hollywood star. I know virtual nothing about her which made this book all the more enjoyable. Told from the point of view of Marlene made it easy to connect with her, to feel her struggles and understand her motivations in the things she did. She is a young school girl when first introduced, and I loved watching her grow up, seeing her change into the memorable person she became. The book doesn't follow her whole life but takes us to the end of WW II which I found fascinating. But the author doesn't leave us hanging, because by this point I am hooked and want to learn more about her. Gortner wrote some great historical notes to tell us about her later years and I really appreciated that. As usually C.W. Gortner had me captivated with his writing style and creating characters that are authentic and believable. He opened my eyes to the Hollywood scene while at the same time giving a vivid portrait of Marlene's feelings for her country and people. Definitely a book I will recommend. After an eleven year-long career in fashion, during which he worked as a vintage retail buyer, freelance publicist, and fashion show coordinator, C.W. devoted the next twelve years to the public health sector. In 2012, he became a full-time writer following the international success of his novels. In his extensive travels to research his books, he has danced a galliard at Hampton Court, learned about organic gardening at Chenoceaux, and spent a chilly night in a ruined Spanish castle. His books have garnered widespread acclaim and been translated into twenty-one languages to date, with over 400,000 copies sold. A sought-after public speaker. C.W. has given keynote addresses at writer conferences in the US and abroad. He is also a dedicated advocate for animal rights, in particular companion animal rescue to reduce shelter overcrowding. Half-Spanish by birth and raised in southern Spain, C.W. now lives in Northern California with his partner and two very spoiled rescue cats. For more information visit C.W. Gortner’s website and blog. You can also find him on Facebook, Twittter, Goodreads, Pinterest, and YouTube. To enter the Marlene Blog Tour Giveaway please see the GLEAM form below. Winner #1 will receive a copy of Marlene by C.W. Gortner. 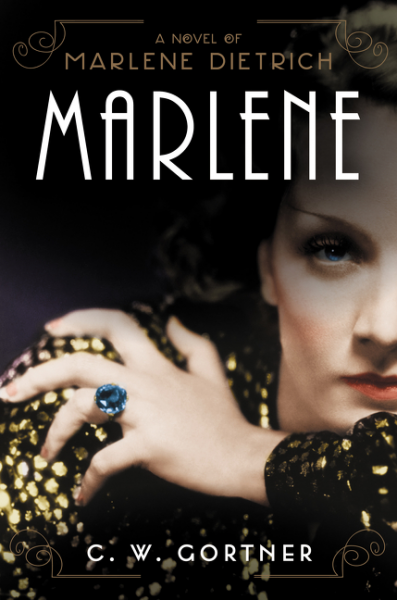 Winner #2 will receive a copy of Marlene by C.W. Gortner & a Marlene-inspired necklace and matching bracelet. Hand-beaded in Guatemala, lime-green and purple beads. Necklace is Egyptian-style drape, and bracelet has centerpiece purple floral gemstone design. Rules – Giveaway ends at 11:59pm EST on June 7th. You must be 18 or older to enter. – Giveaway is open to US residents only. – Only one entry per household. – All giveaway entrants agree to be honest and not cheat the systems; any suspect of fraud is decided upon by blog/site owner and the sponsor, and entrants may be disqualified at our discretion – Winner has 48 hours to claim prize or new winner is chosen. Great review, Margaret! I am thrilled that you enjoyed MARLENE & I appreciate you hosting C.W. 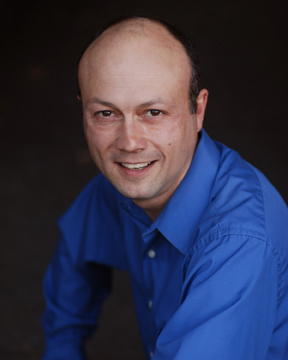 Gortner's Blog Tour!